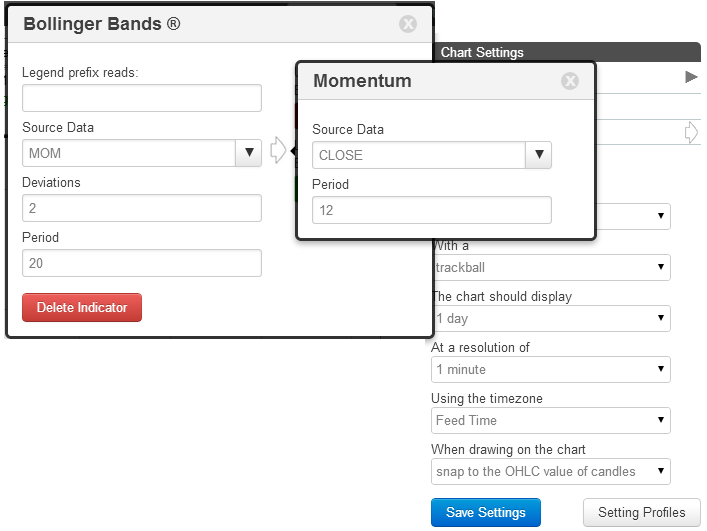 The timetotrade Charts can be used to create custom indicators, without having to know how to write complicated software programs. 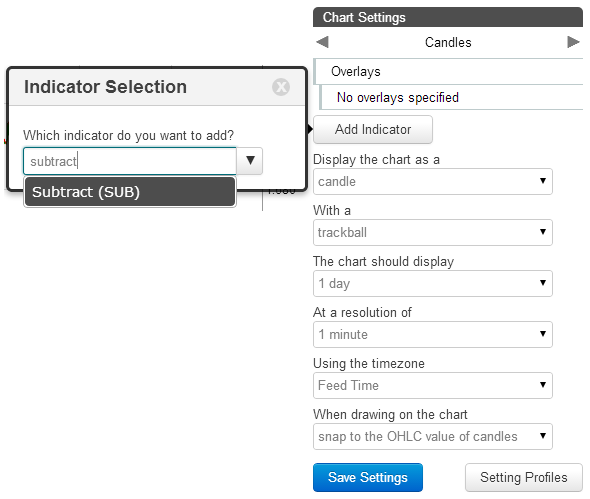 It is also possible to share custom indicators with others and import shared custom indicators. 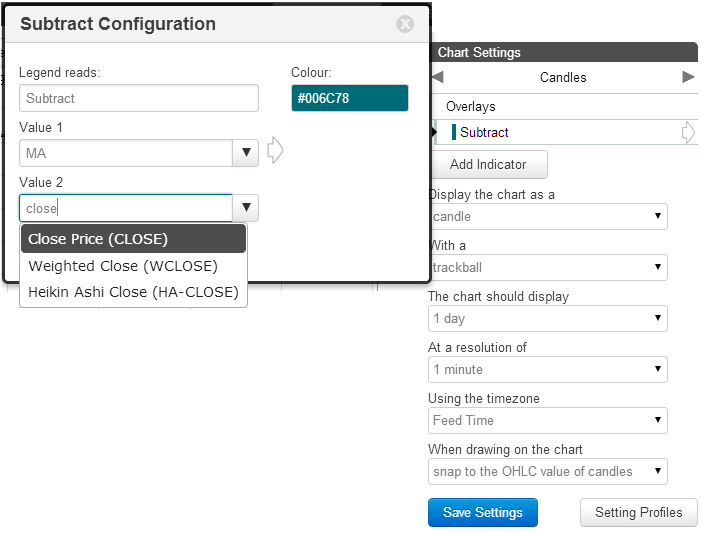 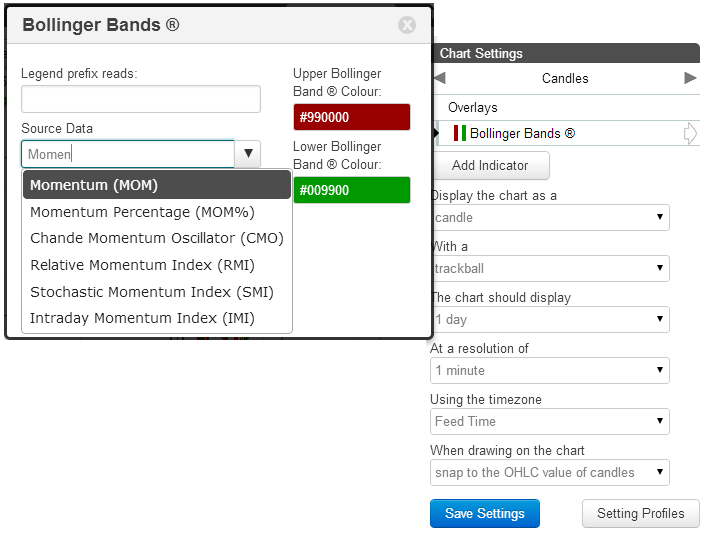 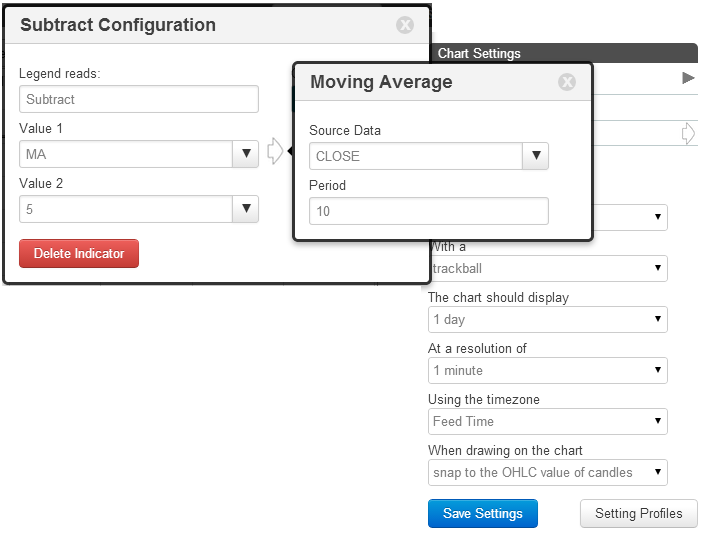 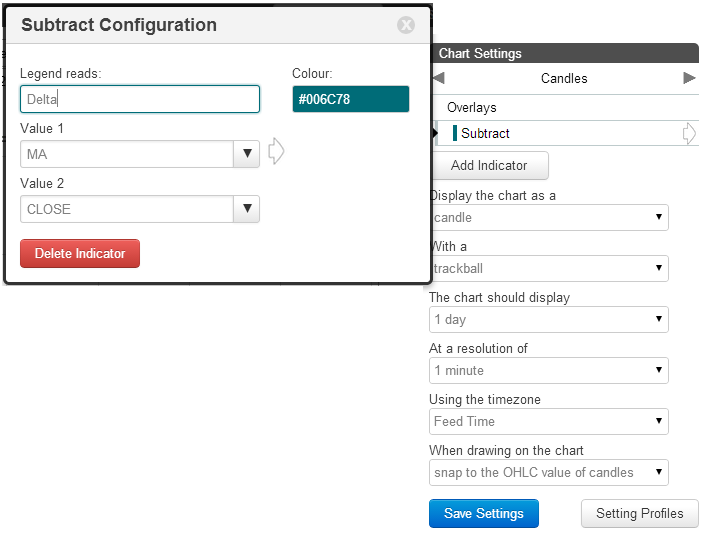 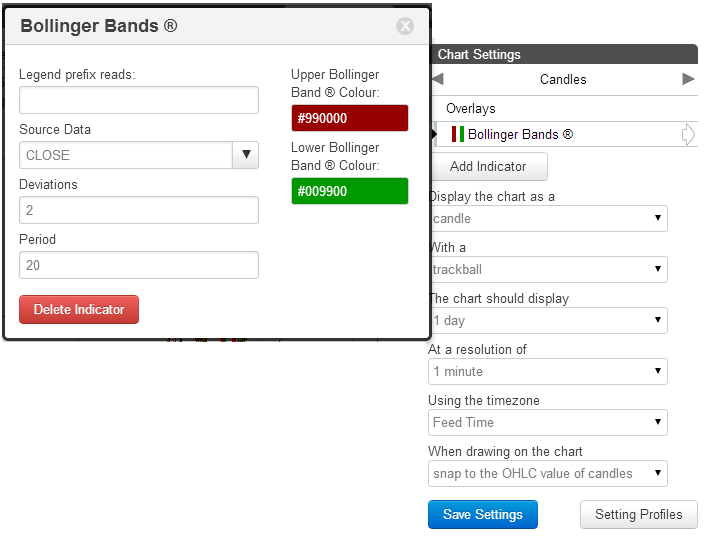 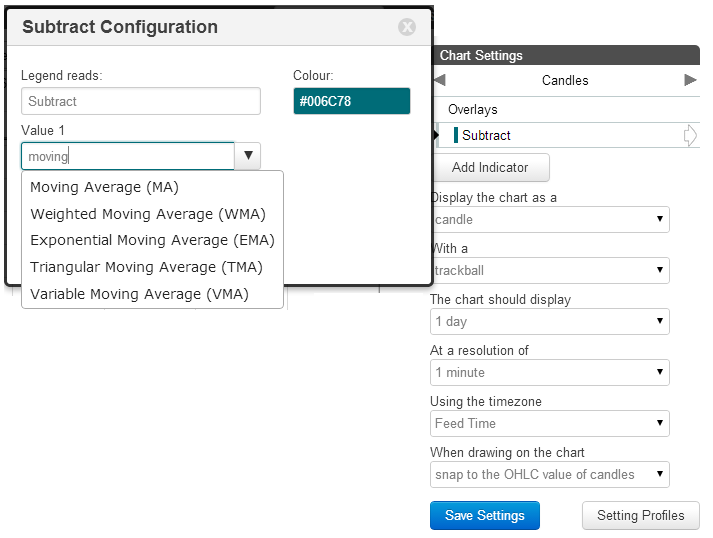 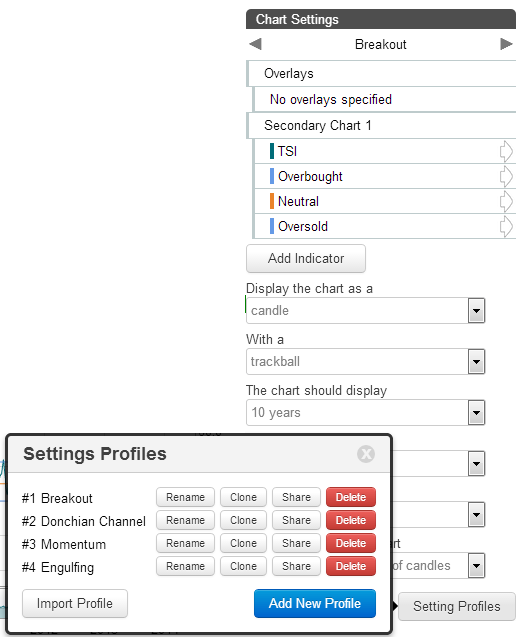 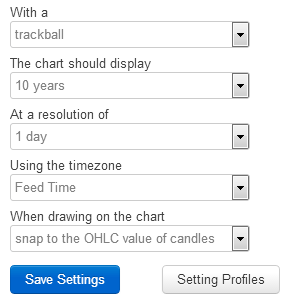 To import a custom indicator, select the chart settings and click on 'Setting Profiles' button in the bottom right corner as illustrated. 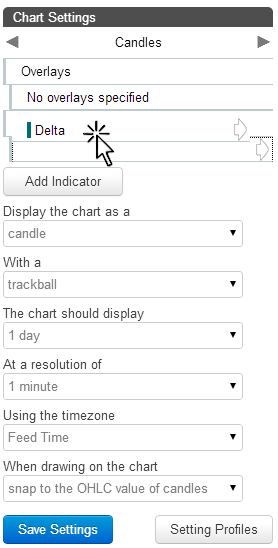 The code for the custom indicator will be displayed. 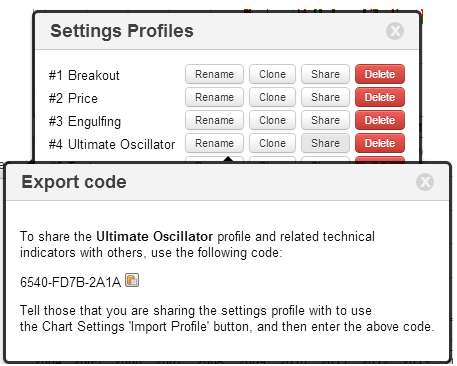 This can then be copied and given to other timetotrade users.